Give your wife extra special chocolates - the ones she won't find at the grocery. Here are our top 10 recommendations. Valentine’s Day has always been associated with romantic gifts meant for special occasions, usually flowers and chocolates. But if you’re anything like my family who devours chocolates on a weekly basis, these can be regular fare. Yes, I confess, we’re big lovers of chocolate, and my grocery list is not without at least two brands of them each time. So, husbands, if you wish to gift your wives or partners with chocolates this Valentine’s Day, make it special and get her something that she won’t find in the grocery store. View the image gallery for our top 10 recommendations. This has got to be one of the most unique combinations ever thought of. If your wife loves bacon (and it’s un-romantic to give bacon as a gift) and chocolate, why choose one over the other? 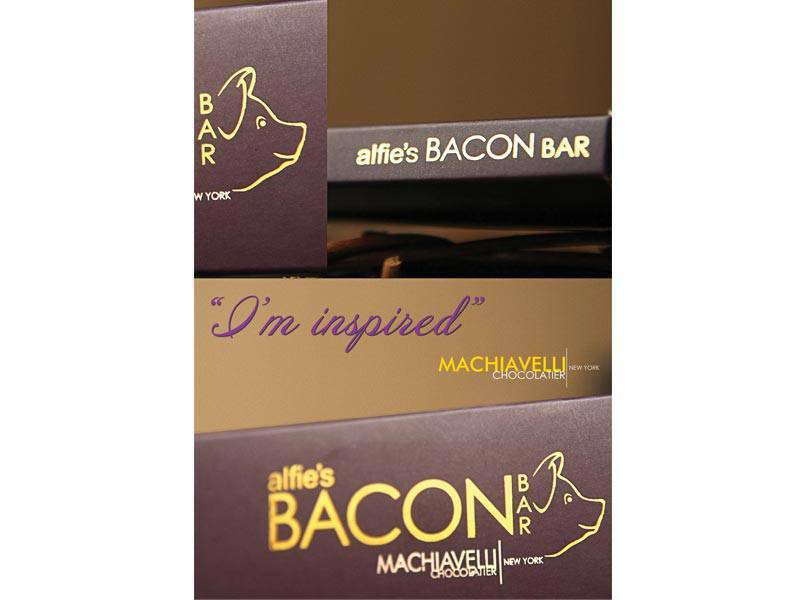 Alfie’s Bacon Bar mixes crunchy bits of bacon into the chocolate, giving it a distinct smoky flavor. 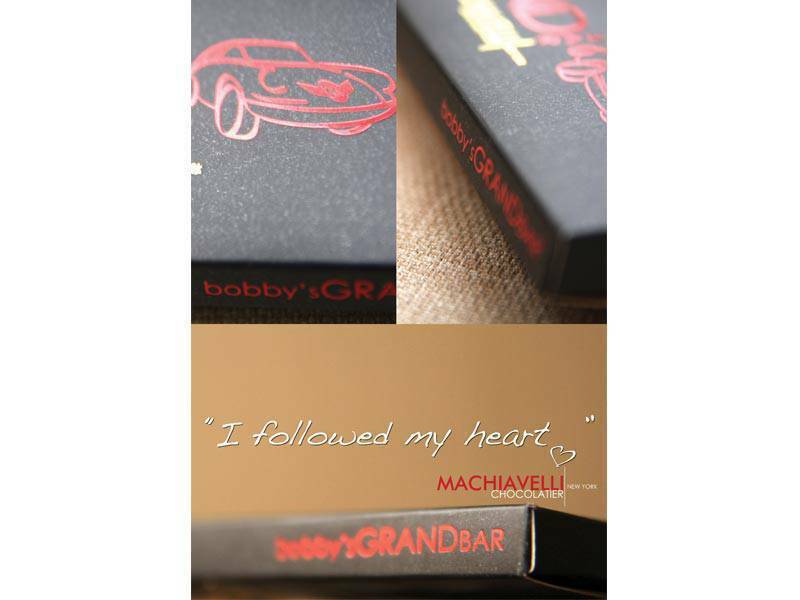 The crunch of bacon and smoothness of the chocolate also makes eating a Machiavelli Bacon Bar a real treat to the senses. Nama in Japanese means “fresh”, and when you get to taste the Champagne flavor, you’d know exactly why they call it such. The chocolate needs no chewing – it is so creamy that it literally melts in your mouth. No worries about it melting in transit to your loved one though, because each purchase is packed carefully in an insulated foil with ice packs. 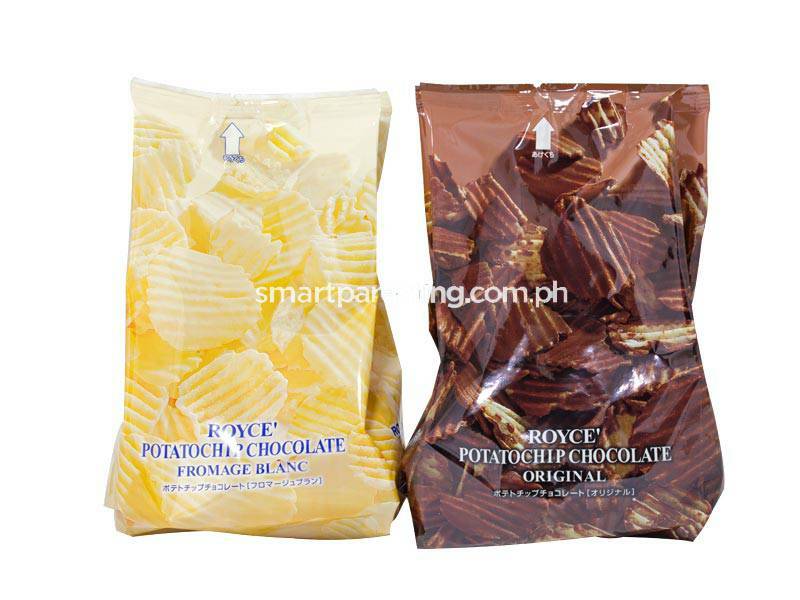 If you’d like a salty twist to chocolate, opt for Royce’s Potatochip Chocolate. It combines the best of both worlds – crispy chips dipped in smooth milk chocolate. 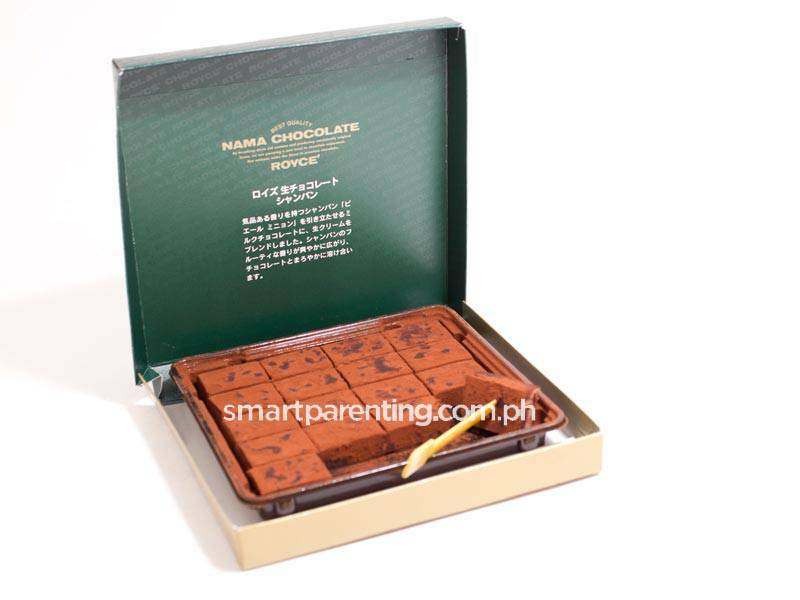 Royce' has branches in Power Plant, Greenbelt 5, TriNoma, Robinsons Place Manila and Eastwood Mall, Alabang Town Center, The Podium and Cake Club in Bonifacio High Street Central. Why do you think coffee shops have mushroomed everywhere? It’s because Pinoys are such coffee lovers. If your wife is the type who takes 4 to 5 cups each day to get her going, get her the Theo&Philo Barako Chocolate, to keep her awake for a romantic nightcap on Valentine’s Day. 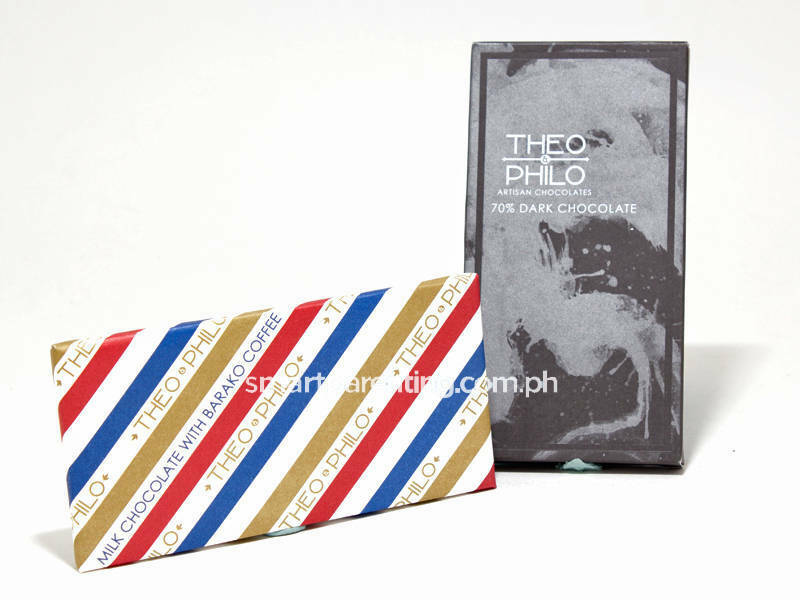 Also try the Theo & Philo 70% dark chocolate. 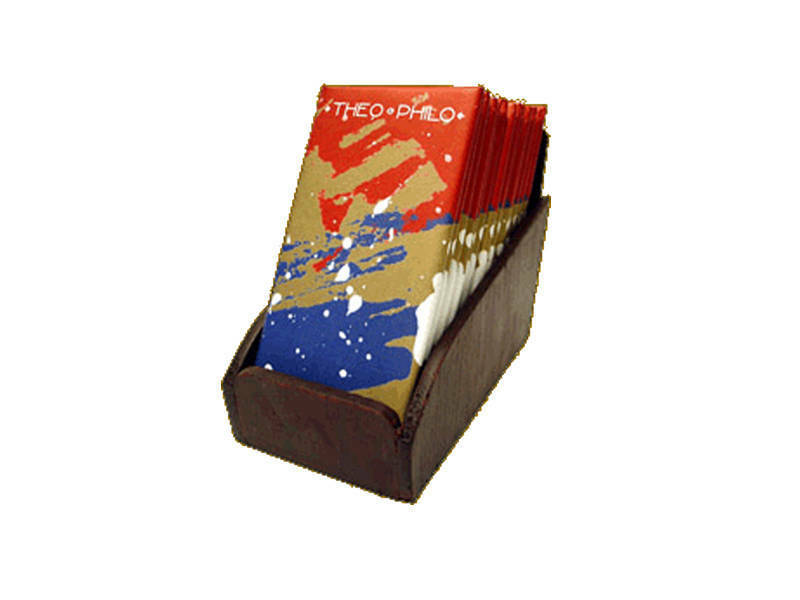 Theo&Philo chocolates are available at the Echostore in Serendra, Taguig. The Gianduja, their bestseller, is an exquisite treat inside and out. Whole hazelnuts are coated in rich hazelnut paste and decadent chocolate for a satisfying bite every time. Villa del Conte has stores in Trinoma, Greenbelt 5, Shangri-La Plaza Mall, and Resorts World Manila. 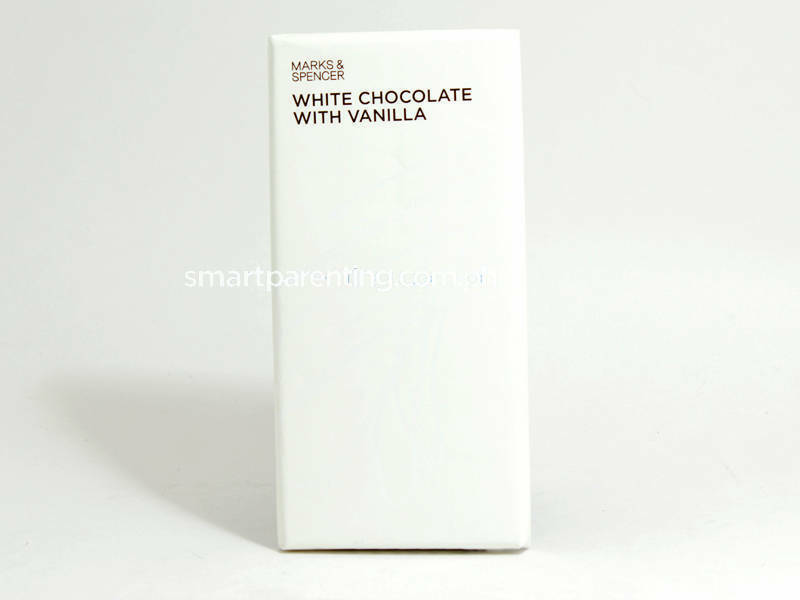 Most chocolate lovers are either a fan of milk chocolate or white chocolate. If you’re a white chocoholic, then this sweet offering is for you. Made out of cocoa butter, milk, sugar, with real vanilla pods, enjoy this Swiss chocolate the classic and understated way. Savor each bite of this treat while going through old photos of you and your sweetie or while watching a romantic movie on Hearts’ Day. 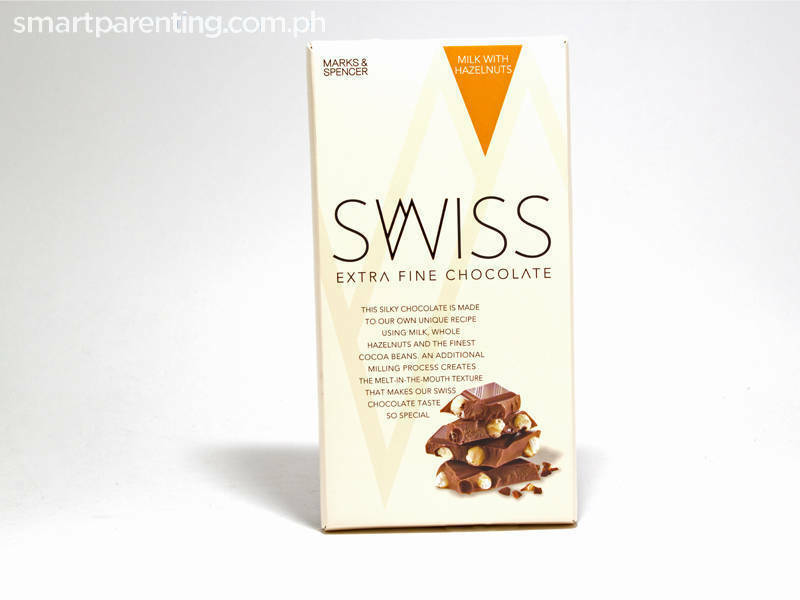 Extra fine Swiss chocolate made with a signature recipe, mixed with whole hazelnuts and cocoa beans, you’ll love the contrast in texture and flavor. For a complete list of Marks & Spencer store locations, visit www.marksandspencer.com.ph. Enjoy French truffles in original dark chocolate, and let each bite-sized piece melt in your mouth. Want more flavor in your truffles? Check out other flavors such as the French truffle with Orange Peels, French truffle coated with pistachio nuts pieces, French truffles with toffee pieces, French truffles with no added sugar (dark chocolate), French Truffles Fine Champagne and the French truffles with mint. 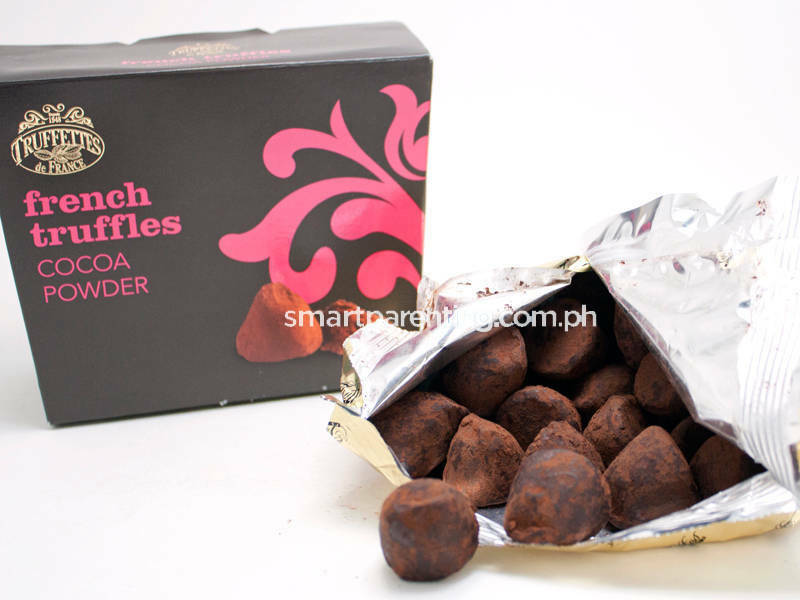 Truffles de France has stores in Shangri-La Plaza, the SM Mall of Asia and in Glorietta.